What with the music industry just returning to growth after years of declining revenues it’s unlikely that it’s going to break anything that doesn’t need fixing; ever looking for the “Next Rag ‘N’ Bone man” it’s hype machine is already in full effect. 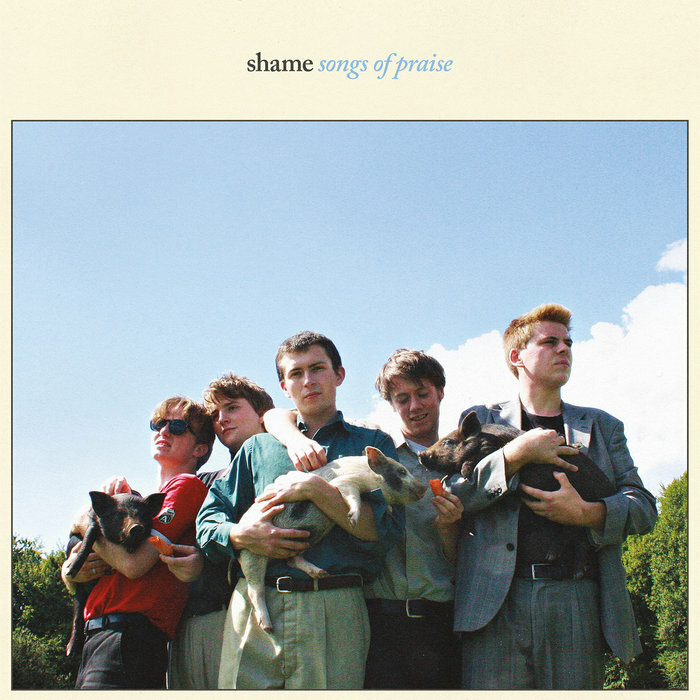 Shame won’t be on the conveyor belt, but like Sleaford Mods and more recently Idles, they’ve been slowly festering away from any kind of spotlight, this time in a grubby South London pub. Barely in their 20’s, the five piece are long on the sort of polemical which wins as many trolls as admirers, but recorded in just over a week Songs of Praise is a brick wall of snark, black humour and massive tunes written from seemingly way beyond their collective years. Stripping bits from post-punk, the primal throb of the Stooges, The Clash’s politicisation and Madchester like lead from a church roof, Songs of Praise says what it likes and likes what it says, giving 2018 it’s first big hangover and us our first great album.